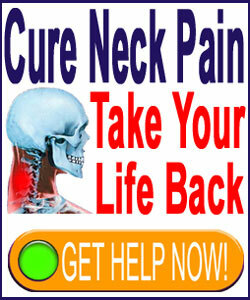 Neck pain in children may exist due to congenital, developmental, injurious or idiopathic reasons. Children can suffer from many of the same spinal and muscular issues which might affect adults, but may also demonstrate age-specific reasons for discomfort. Although it is heartbreaking to see any child in pain, statistics clearly point out that chronic varieties of neck symptoms are indeed quite rare in youngsters. It must be mentioned that children’s health complaints should always be taken seriously and investigated. Children can suffer potentially serious neck pain causes and it is vital that parents and older siblings recognize when a problem exists. This resource article examines the incidence of neck pain in minors, including the causes of symptoms and the way they should be managed. 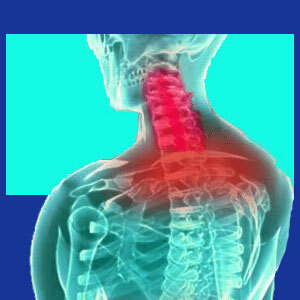 Congenital and early developmental spinal issues can cause pain for children or adults. In the neck, these types of scenarios may include atypical spinal curvatures, bone or disc irregularities, transitional vertebra, neurological deficits, spina bifida or other concerns. Injury is common for children to experience and can range from insignificant to fatal. Some children will complain of injury constantly, when they are actually fine. Meanwhile, others might really truly hurt themselves badly and never say a word. This is why the child’s personality must be accounted for when parent suspects that a cervical spinal injury may have occurred. Most actual injuries will involve the soft tissues, but serious traumas may affect the spine itself. Virtually all the physical activities which children perform may involve the possibility for injury. Getting hurt is par for the course as kids grow. Just remember to always keep your children’s wellbeing in mind when setting rules for them and encourage them to be safe when they participate in higher risk activities, such as sports, bicycle riding and vigorous exertions. Parents can not bring their children to the doctor every time they get hurt. However, some injuries truly require expert medical attention. This is why it is so important to have good and open communication with your children and understand the extent of their potential injuries thoroughly. If you are simply not sure if the child is really hurt or not, be cautious and have them examined just to be sure. Diagnosis of chronic neck concerns in children may involve lasting, drastic or even invasive treatment options. Be especially careful with any recommendations for continuing care or surgical care, unless there are obvious extenuating circumstances. Children can be enlisted into unnecessary treatment programs just as adults can. Be cautious and protective, as a parent. The nocebo effect of a scary diagnosis on a child can never be underestimated. This I can tell from personal experience. Children might complain of neck pain if they hit their heads, sit in a strange position or for too long, sleep in a strange position or for too long, have a cold or flu, run around too much or hurt themselves without knowing it at the time. The diversity of possible explanations for children’s pain seems to be endless. Luckily, kids are almost ridiculously resilient and lasting injury is rare, even from substantial traumas. It is too bad this trait disappears as we get older. Most adults would love to be able to shake off the multiple injuries we did when we were much younger. In summary, remember to trust your children and take their complaints to heart. If you suspect a real injury has befallen them, insist on diagnostic evaluation, despite a doctor telling you it is probably not necessary. Every year, some poor kids die because substantial traumas, such as concussions and spinal cord damage, are not recognized. Don’t let these types of tragedies befall your family.